Jaleeza Weibolt, 21, was crowned Miss Tropical Beauties Suriname 2013 last Saturday, June 29th, at the Ballroom of Hotel Tora Rica. 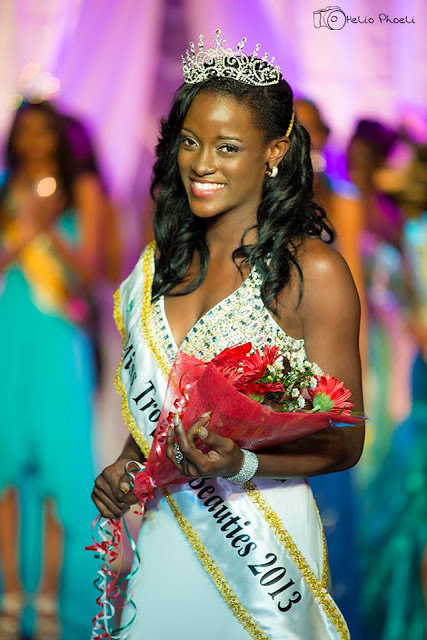 Weibolt will represent Suriname at Miss Supranational in Belarus later this year. 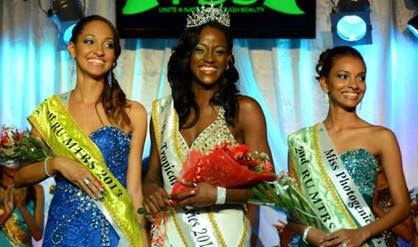 The first runner-up was Janet van Klaveren (left) who will represent Suriname in Miss International 2013 to be held in Japan in November. Kyran Rampersad (right) was the second runner-up. Eleven young women competed in the pageant.